Feb 2: LA PAZ Baja Blues Tour at La Costa Rest. 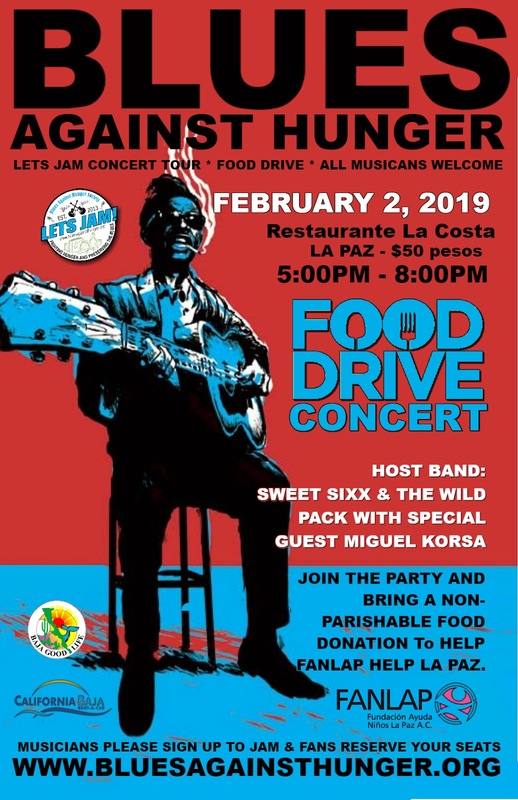 Come out and have a swingin' good time with host band Sweet Sixx & The Wild Pack Band with special guest Miguel Korsa! $50 pesos and a non-perishable food donation for FANLAP to help the community of LA PAZ - Music and Meals Heal.